Aloha hoaloha! 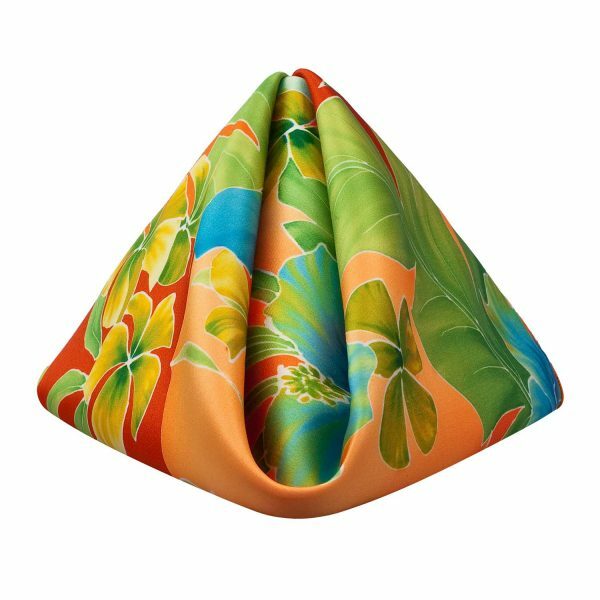 This BBJ exclusive will bring joy to your next tropical tryst. Printed on our Lamour textile with a touch of sheen, and back in Orange Classic, our Hana is a combination of Hawaiian glory. Red, Turquoise, Orange – Light and Dark, plus a simply stunning collage of greens make this a Polynesian paramour. There are matching Overlays, which are printed on a crushed sheer textile.